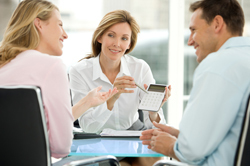 Smart business owners and individuals know that tax planning is not a once-a-year proposition. The only way to minimize your tax liability is through careful, strategic planning conducted in conjunction with a qualified Palm Beach CPA firm. Call us at (561) 357-8885 to find out why Accounting Management Advisors has become the firm of choice when it comes to tax planning and preparation. We'll review your current situation and help you design a sound, responsible plan that will work for you, and we'll revise that plan as your needs evolve. You won't have to worry about staying on top of fluctuating tax laws because we'll do that for you. By working with us to make tax planning part of your overall financial strategy, you'll save money and reduce stress, and when the time comes, we'll prepare your tax returns accurately and file them for you.